I was going to summarise the differences here between the book and the film. Problem here is I’ve never read the book and assumed them to be broadly the same. I now plan to read the book! So what’s left for Reaction this week.. Have I just passed you some further reading and tagged out. No dear readers. We’re going to remember that Disney film, then we are going to look at a certain sad theory that has been going round on Facebook. Firstly the film. Like last weeks Dumbo will always be remembered for Pink Elephants here it’s Never Smile at a Crocodile. Captain hook is pretty much a comedy bad guy. He makes me wonder why the American’s never got the idea of Panto. I won’t go through the plot of the Disney film, because I’m pretty sure everyone has seen it. Searching around this one is likely untrue. For starters he visits Wendy as an Adult at the end of the book. In the film Mr Darling remembers the Pirate ship from his own childhood. Unless they’re all really dead (and I really don’t think it’s that kind of book) this theory can’t be true. 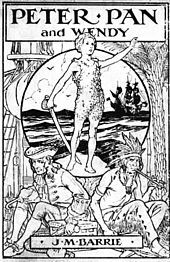 I think Peter Pan is the spirit of childhood imagination both in the book and in the Disney Film. 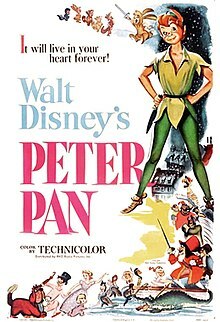 In the book it ends with the notion that Wendy had a daughter who also visits Neverland, and that this loop continues. Could this be representing the mischievous spirit of childhood. It would explain why both Peter and Tinkerbell are portrayed as mischievous in the Disney film and self centred in the books. But for an insight into Peter Pan I would recommend the tear jerking film Finding Neverland from 2004, and for an interesting “elseworlds” story set in the Disney continuity there is always Hook a film that’s featured right here at Reaction before..